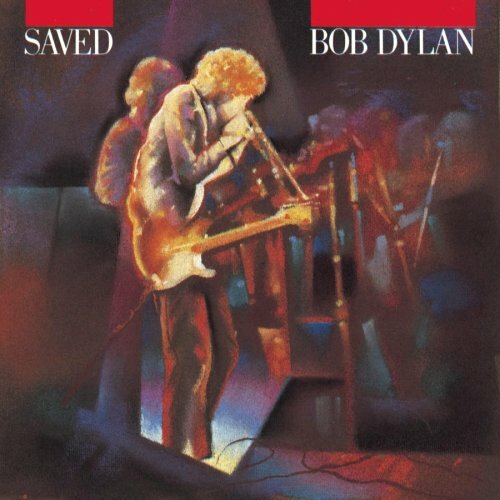 Saved is singer-songwriter Bob Dylan‘s 20th studio album, released by Columbia Records in June 1980. 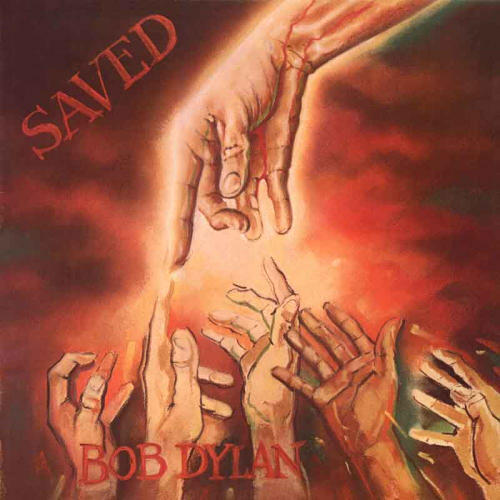 Saved was the second album of Dylan’s “Christian trilogy,” following his conversion to born-again Christianity. 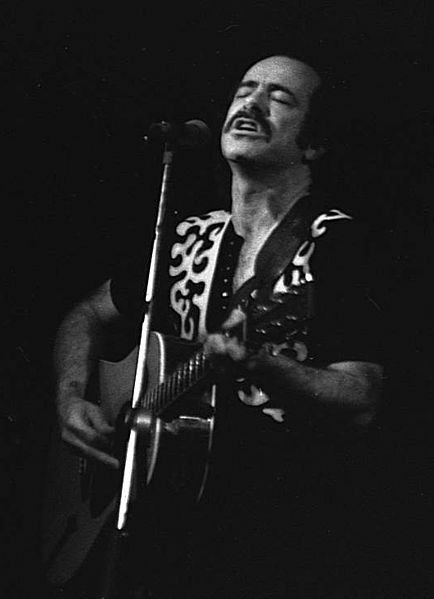 It expanded on themes explored on its predecessor, Slow Train Coming, with gospel arrangements and lyrics extolling the importance of a strong personal faith. Many critics dismissed Saved as dogmatic or bombastic. The album hit #3 on the UK charts, but managed to reach only to #24 on the US charts and did not go gold. 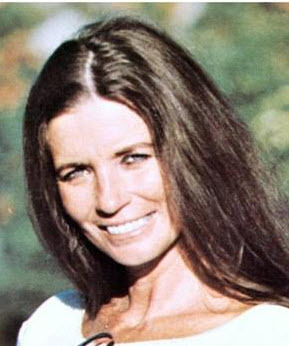 Valerie June Carter Cash (June 23, 1929 – May 15, 2003) was an American singer, dancer, songwriter, actress, comedian, and author who was a member of the Carter Family and the second wife of singer Johnny Cash. She played the guitar, banjo, harmonica, and autoharp and acted in several films and television shows. Carter Cash was inducted into the Christian Music Hall of Fame in 2009. She was ranked #31 in CMT’s 40 Greatest Women in Country Music in 2002. Stuart Fergusson Victor Sutcliffe (23 June 1940 – 10 April 1962) was a Scottish artist and musician, best known as the original bass player of The Beatles. 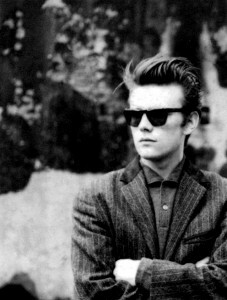 Sutcliffe left the band to pursue a career as an artist, having previously attended the Liverpool College of Art. Sutcliffe and John Lennon are credited with coming up with the name “The Beatles”, as they both liked Buddy Holly‘s band, The Crickets. As a member of the group when it was a five-piece band, Sutcliffe is one of several people sometimes referred to as the “Fifth Beatle“. 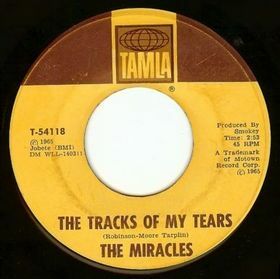 “The Tracks of My Tears“ is a multiple award-winning and much covered love ballad introduced in 1965 by The Miracles on Motown‘s’ Tamla label. This song is considered to be among the finest recordings of The Miracles, and it sold over one million records within two years, making it The Miracles’ fourth million-selling record. Robert C. Hunter (born June 23, 1941) is an American lyricist, singer-songwriter, translator, and poet, best known for his association with Jerry Garcia and the Grateful Dead. What I object to is leaving out What Can I Do For You and Covenant Woman in the list – I think they’re the best songs on the album. I appreciate a ‘reminder’ to play an album though, especially an unfairly maligned one like this. In addition, I consider almost everything I’ve ever read about Dylan – except what he’s written himself – usually inconsequential and frequently misguided. I really think he brings out the worst in ‘writers’ and ‘critics’. I also think it’s probably part of the game he plays with people; whip them into such a frenzy that their natural inclination not to publicly humiliate themselves with pathetic Dylan analysis is completely ignored. My advice is, accept that he’s great, but try to keep it to yourself (or at least a private conversation). 1. Good input on “best songs” from the album. There will always be different opinions on such subjects..
2. My advice would rather be to don’t read stuff about Dylan.. if you don’t like it. There are tons of books & articles about the man.. I love many of them. There will surely be loads in the future as well. I still have my old vinyl copy of the original cover with the newer cover contained on the original’s inner sleeve. I guess some felt it offensive, but I don’t. It’s symbolic of the hand of God reaching out to those looking for Him. It’s a person’s choice as to whether they want to reach back up to grab on to it. It’s all a personal issue anyway. It doesn’t matter to me whether Bob says he’s one thing or another. He said what he felt needed to be said then and said it from the heart. He still does. There’s no one else like him and there never will be. Period. Mr. Gray needs to get over it. Diatribe was hardly called for. His response must have been a response to something other that the article, which wasn’t really an article or critique but a very brief synopsis of the album. Those 3 albums can be considered a trilogy of sorts, in that they were very explicit about his faith. Afterward, Dylan retreated with his faith back into word imagery that wasn’t so explicit but used subtle poetics and imagery regarding the matter for whatever reason only known to him and those close to him. He doesn’t say he is or is not a Christian anymore, but he still does use the imagery like he did even before his conversion in the late 70s. Saved was a great album. So was Slow Train Coming, So was Shot of Love, and Infidels, and the preceding Street Legal. I don’t think he had any real “bad” albums until the later 80’s and even those had some great material on ’em. Can’t win ’em all. I totally agree.. You can’t win ’em all… He’s “won” way more than any other living artist in my opinion! There was no “Christian trilogy,” (no more a trilogy than the three ’65 and ’66 albums) and your use of quotes displays a dissembling need to simultaneously claim a misnomer while abdicating responsibility for perpetuating it. In reality the “critics” contradicted one another on which of the first two of that you call a trilogy was the more bombastic. And still do. And over whether the “trilogy” only had two in it. All you can say is that STC and Saved were evangelistic and that what SOL had in common with them was use of the word Jesus: ironically several times more in one song than in the previous two albums put together. There is no such thing as “born-again Christianity” – this is a construct by the media and ignoramuses. I went to Bible school at an extension of this church out in the Valley in Reseda, California. It was affiliated with the church, but I’m not a believer in that born-again type thing. Jesus told Nicodemus, “A man must be born again.” And Nicodemus said, “How can I go through my mother’s womb?” and Jesus said, “You must be born of the spirit.” And that’s where that comes from, that born-again thing. People have put a heavy trip on it. People can call you what they want. The media make up a lot of these words for the definition of people. I mean, who’s a person anymore? Everything’s done for the media. If the media don’t know about it, it’s not happening. They’ll take the littlest thing and make it spectacular. They’re in the business of doing that. Everything’s a business. Love, truth, beauty. Conversation is a business. Spirituality is not a business, so it’s going to go against the grain of people who are trying to exploit other people. Sorry that you feel this way, this post was meant as a reminder of an album worth remembering and give another play (on your record player, discman, mp3 player or streaming service). We like it and we will continue to post “guff” like this, we love music in many forms and what we think is worth mentioning we will mention, no matter how superficial or short others may find it. …and by the way we really like expecting rain, a source of joy almost every day.